Love this look and congrats on the greatest blessing about to enter your life!!! I can see why it’s on repeat, you look gorgeous in it! 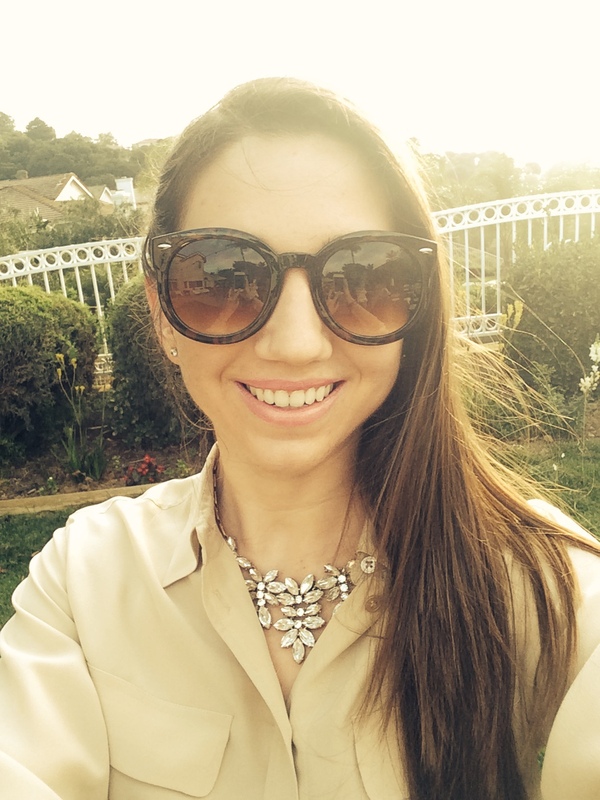 Just followed your lovely blog, maybe if you feel like it you could check mine out too! Have a nice day, Mommy Andrea! You have a rocking maternity style. I love this look on you. Although denim shirt dresses are so classic and versatile, it’s so easy to style!! IT S a new Year with a denim explosio n deAr! You look so beautiful my dear! I love denim dresses, such a simple yet essential wardrobe piece! I love your denim dress Andrea! 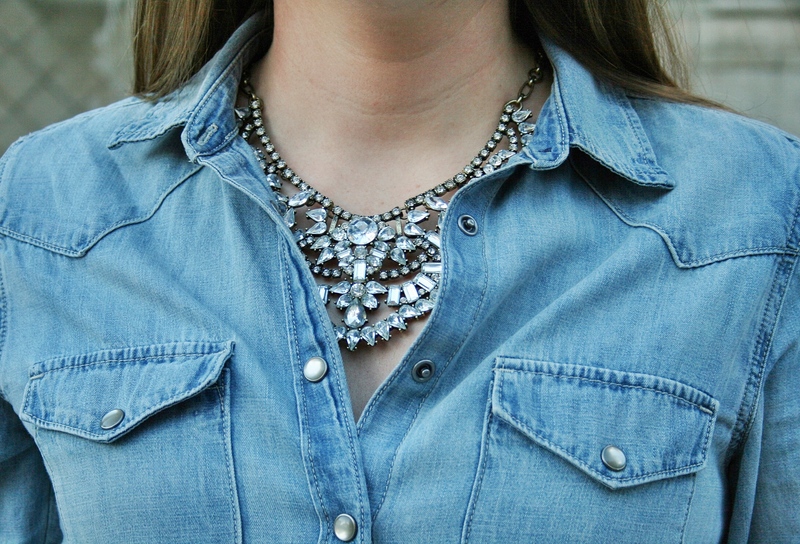 Gorgeous statement necklace too! 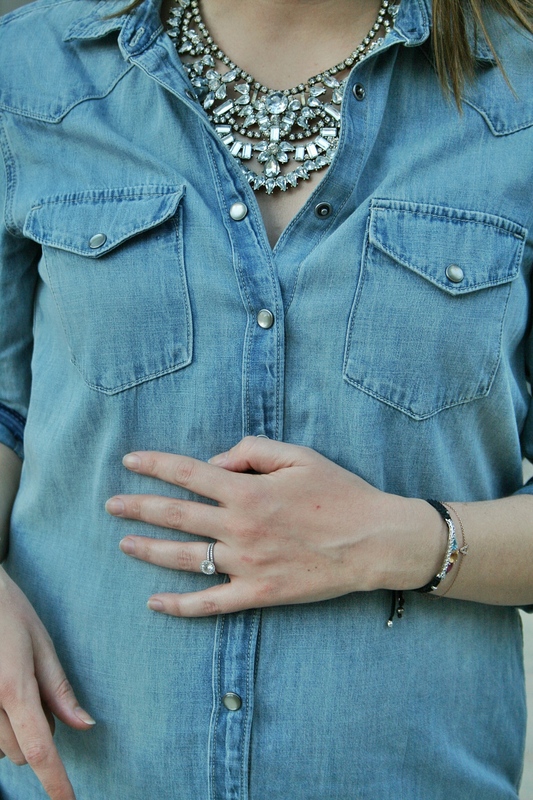 Love this denim outfit and all the shades of blue. I am thinking of getting a Goyard bag and this color seems like it would be a good choice! Have a great week! u look awesome!!! that denim dress is gorgeous! Loving all of these blue together! You look great.